Eloqua targets midsize companies and enterprises whose marketing departments consist of more than 10 marketing automation users or who engage in cross-channel marketing outside of digital verticals. Many also choose Eloqua because of its robust CRM integrations. Others assume that since the price is high, it must be good for their company. ALSO READ: Pardot vs. Marketo: Which is the Better Marketing Automation Platform? 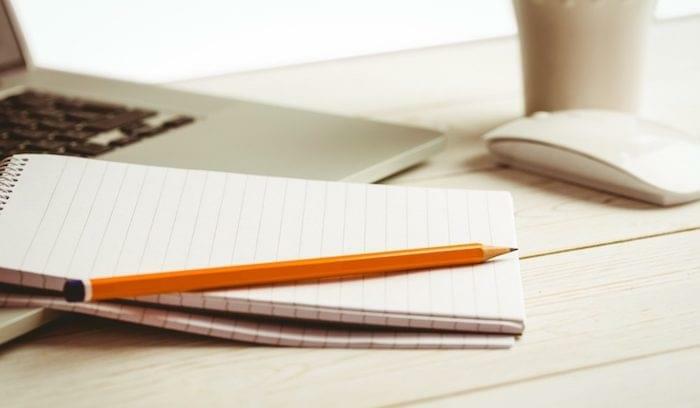 Whatever your reasons for researching Eloqua, you’ll also want to explore some alternatives. Other marketing automation platforms may not be as full-featured or expensive, but at least one of the Eloqua alternatives on this list may have features, pricing, and a user experience that your team will appreciate. Infusionsoft provides CRM, sales and marketing automation, online sales and deals, analytics, and integrations all in one place. 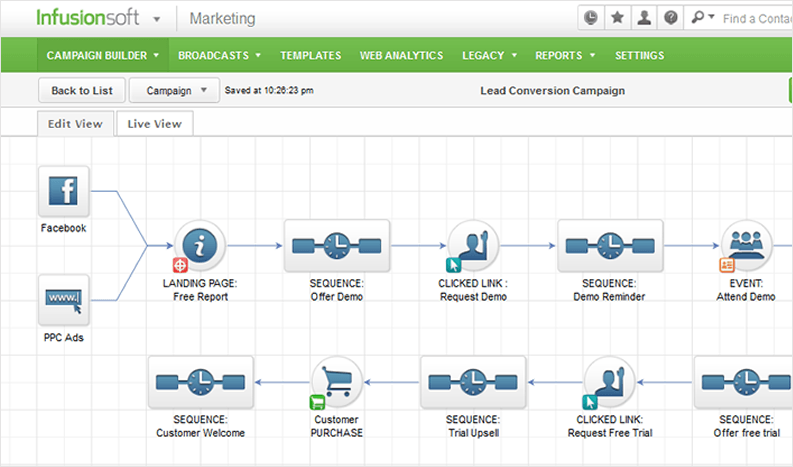 Build campaign workflows to automate your lead capture and follow-up messaging. Trigger emails and phone call notifications based on how customers interact with your landing pages and website. 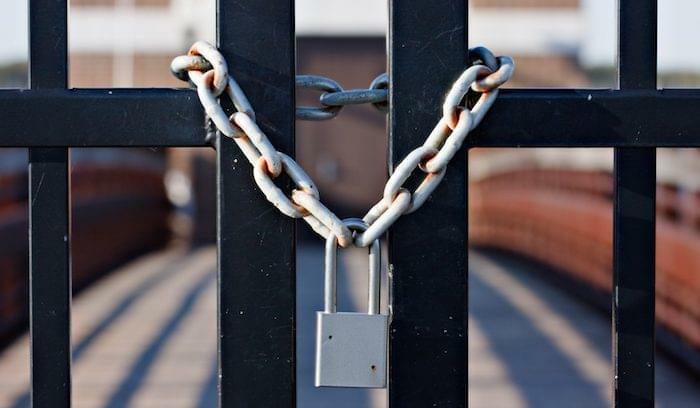 This alternative works for SMBs with up to 10 users — otherwise you’ll need a custom build. Most companies will choose between the sales or e-commerce version to get the most for their money. If your team or company is new to marketing, you can use Infusionsoft’s knowledge center and blog to learn about best marketing and sales tactics. 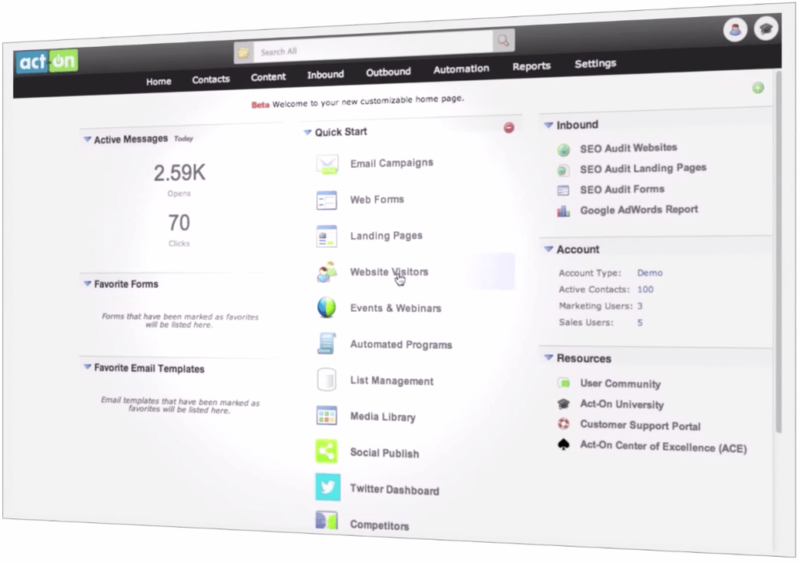 Act-On provides marketing automation for two tiers: SMB and Enterprise. The difference between these versions lies in the number of contacts and users and users at your company and the depth of the reporting features. Enterprise Act-On also provides account-based marketing tools, which can be useful when targeting B2B customers. 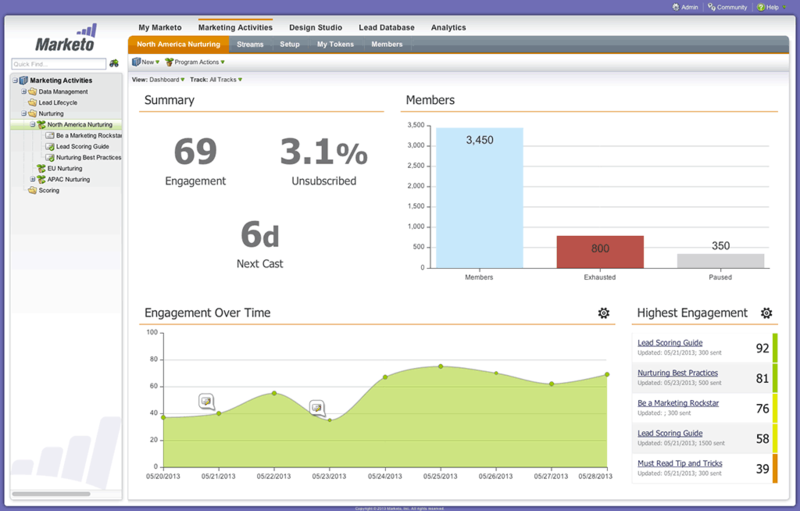 Act-On combines CRM tracking and engagement analytics with email marketing, social interactions, and website metrics. While Act-On allows you to import and segment your contact lists, it will also push your customer information and updates to your existing CRM of record. You can connect your Adwords search campaign to get a picture of how buyers find your site. Autopilot’s visual workflows let you build your customer journey with icons and connections. 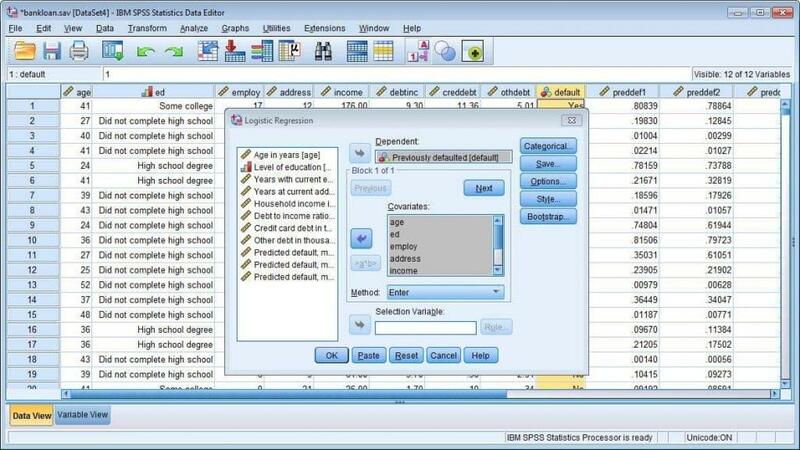 Each action is based on a trigger — either by time, data submittal, or interaction. Build your workflows and save them as Guide Books, which are templates for your company to build best practices. 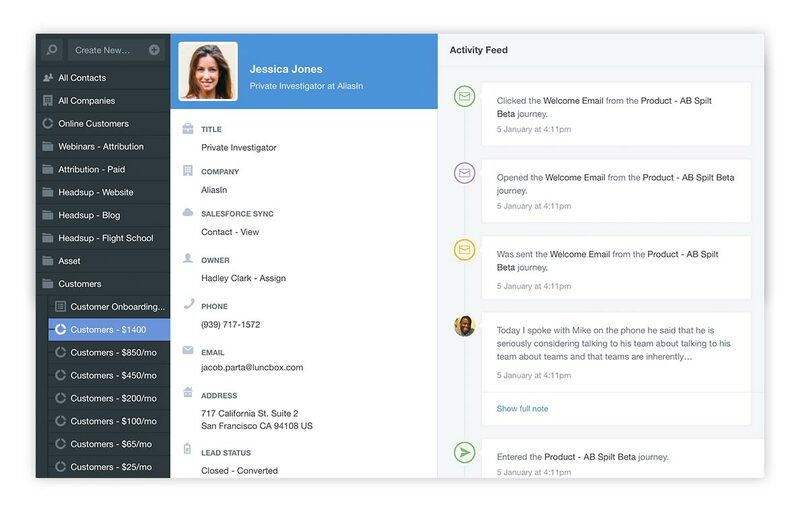 Autopilot stands out from some of the others on this list because of their extra features and integrations — namely, SMS and live chat integrations, and direct mail postcards. Think of Autopilot as a hub to centralize all of your marketing tools like Zapier, email, and chat. 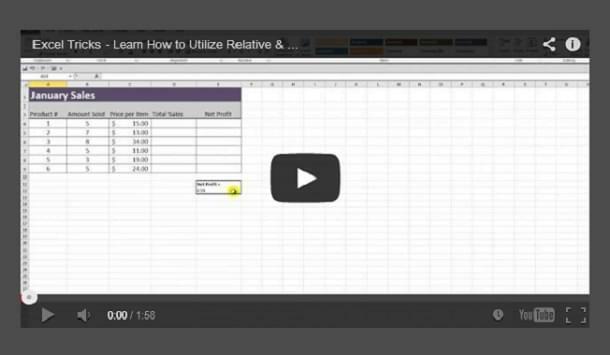 Entry-level pricing makes this powerful tool accessible to even the smallest marketing departments. Marketo has long been an industry leader, helping everyone from SMB through marketing agencies and B2B lead generation teams personalize their marketing efforts. You’ll find Marketo in a similar pricing tier as Eloqua, but you’ll also find that this option is built for usability, with a focus on customer education. Marketo’s capabilities extend to most digital marketing channels, but you won’t find support for more traditional marketing tactics like print media. You will find lots of cool sales and engagement features, from predictive content to lead scoring and drip campaigns. If your company primarily runs marketing through digital channels, Marketo is worth a look. HubSpot makes no bones about separating its products, so if your marketing team works separately from your sales team, you can implement each of these products separately, or tie them together. Any way you choose to implement HubSpot, you’ll get their free, built-in CRM that brings together insights from across your digital platforms. 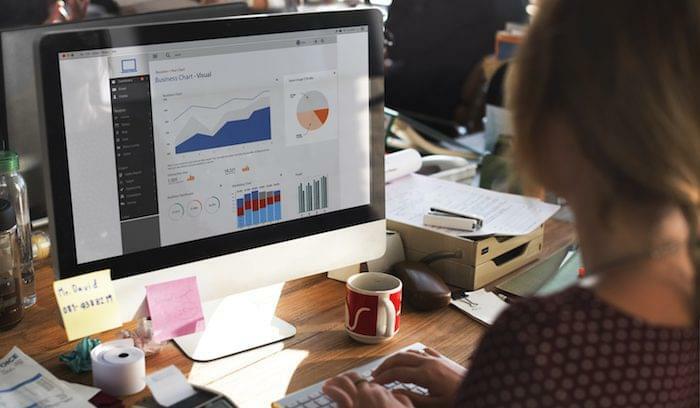 If your department wants to build inbound traffic, HubSpot’s tools can help you grow and analyze your traffic, then nurture leads toward conversion. You’ll also have access to libraries of landing pages and form templates to streamline your lead capture process. 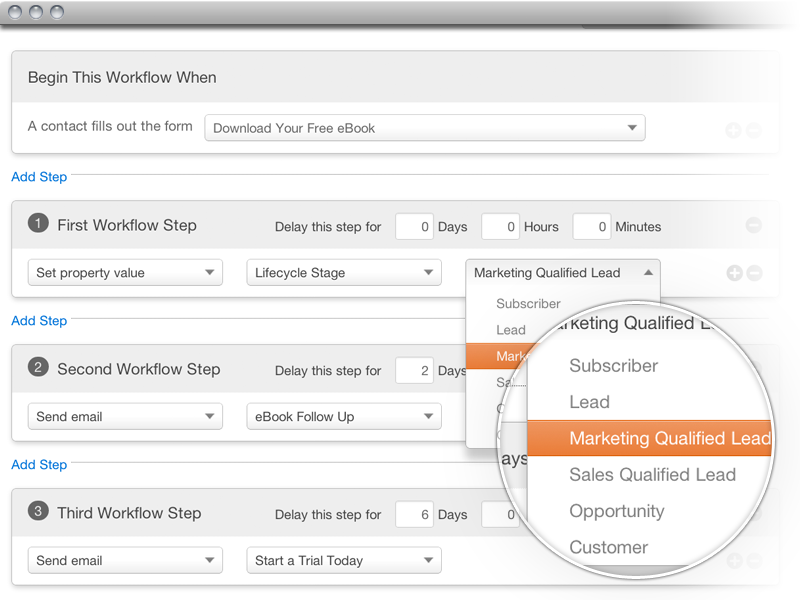 Marketing automation comes standard with the marketing module. Anyone on your team can set up campaigns using visual editors and workflow builders. What would a marketing listicle be without a Salesforce Marketing Cloud product? Pardot is the Salesforce B2B marketing automation solution. It brings together your email marketing, drip campaigns, lead generation through landing pages and forms, and the Salesforce CRM to provide powerful insights into your leads and contacts. You can access detailed, segmented reports in Pardot that explain how customers engage with your content or fall through your funnel. This product’s lead generation and marketing power lies primarily in its integration with your website and ability to track customer interactions there. If you’re looking for insights into print ads or direct mail, you’ll want to look into other, peripheral products that integrate with your CRM. For truly cross-channel coverage of your market, look to the IBM Marketing Cloud. This enterprise solution brings together lots of systems and combines them with the power of IBM Watson’s data learning environment for more accurate predictive content campaigns. 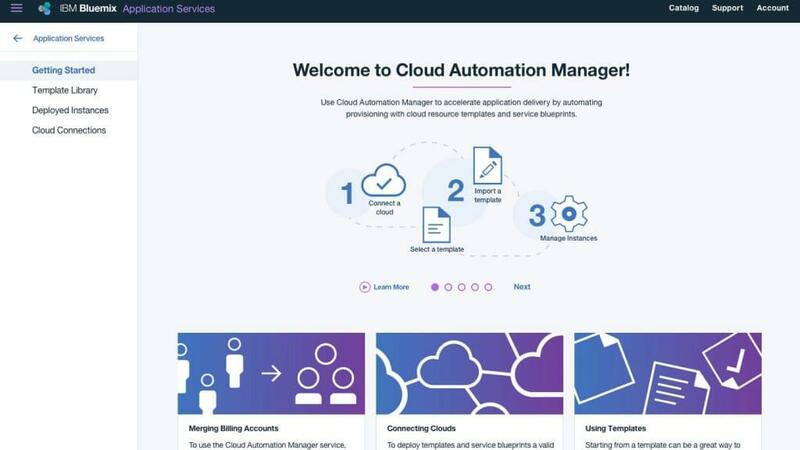 The IBM Marketing Cloud is not for beginners, however. Expect to wade through lots of products and engage in deep education while you’re building your campaigns. If you need a hand, take the Watson product survey to help decide which products are best for you (or one of our Technology Advisors can guide you through the available products). Whether your team is looking for a small and agile solution or one with endless capabilities, the features are out there. Take some of these Eloqua alternatives for a test drive before you buy; you’ll be pleasantly surprised with how much your business can grow, after a little research and setup on the front end. 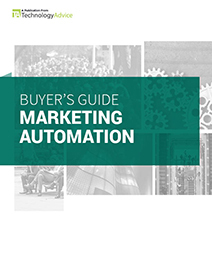 Still not sure which marketing automation tool is best for your team? Visit our Product Selection Tool to compare more options, or call us for a free assessment.